If You Like Empire , You Should Love Power. Oh Yeah, and a Special Shoutout to the White Guy. 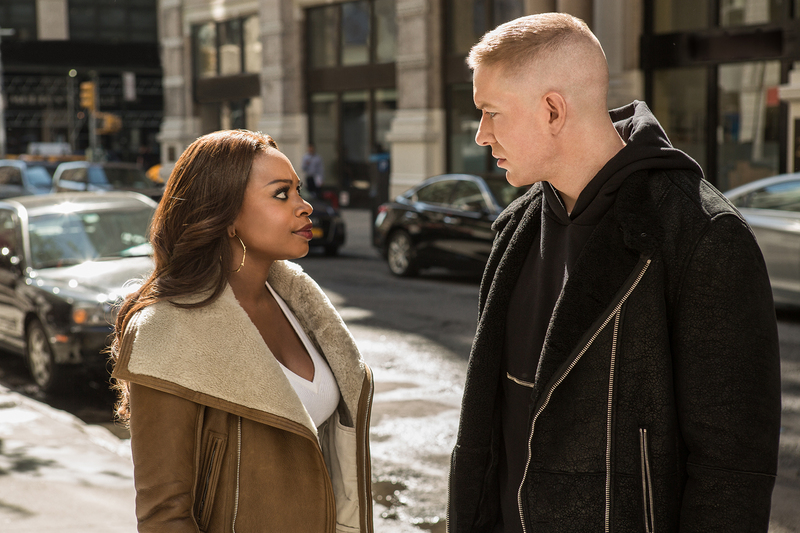 The electric Starz drama Power, television's best "gangster show set in the black music world," has lost none of its wattage when it returns Sunday. The third season, which premieres at 9 p.m. ET, has James "Ghost" St. Patrick (Omari Hardwick) trying to sever his ties to his gang-laced druglord past and operate three legitimate nightclubs. Anyone who agrees that's a doable goal, where you're not likely to run into any loose ends or anything, raise your hand. No one? Didn't think so. As we saw at the end of last season, Ghost is also trying to break away from his wife Tasha (Naturi Naughton) and move into a blissful new life with Angela Valdez (Lela Loren) (above), the girl he knew back when and never got over. Minor problem: Angie works for the prosecutor's office, so she's investigating several cases in which Ghost had more than peripheral involvement. So Power remains a spiderweb of threads that one person knows and another person doesn't, only maybe that person does. Also, half the people on the show want to kill each other, since this is that kind of world. All in all, you'd have to put low odds on Ghost's fantasy of breezing into a quiet life where his biggest problem is stocking the right vodka on celebrity night. Nor do prospects seem bright for Angela's fantasy that she can reconcile Ghost's world with her professional world. It would be hard enough if the prosecutors were all good guys and the thugs were all bad guys, but there seem to be some of both in each camp. That feels honest enough. More to the point, it makes for high anxiety in the characters' lives and good television in our living rooms. 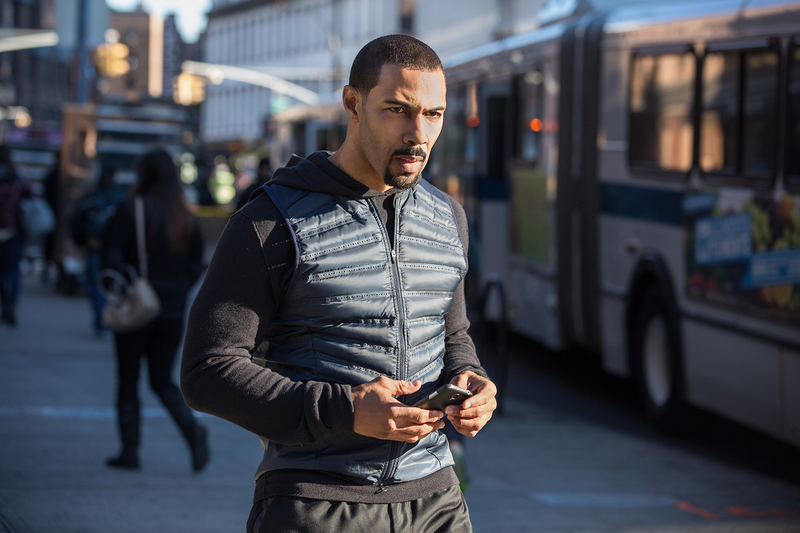 For obvious reasons, Power has been compared to Fox's hit Empire, which also revolves around a smart, clever and dangerous entrepreneur who wants to build a clean world with dirty hands. While Empire has gotten more attention, in many ways Power is the more compelling show. That takes nothing from Empire, which knows exactly what it wants to do and executes nicely. But where Empire incorporates a slick, bemused soapish side, Power stays more raw. And a major part of the reason it does that is Tommy Egan (Joseph Sikora). As played with cold brilliance by Sikora (above with Naughton), Tommy is the white guy in a black world. He's not the messiah, a savior who floats above everyone else. He's rarely the smartest guy in the room. He's just a guy who wound up in this world thanks to a lifelong friendship with Ghost, and he's learned how to navigate it well enough to survive and even make a little money. Now he and Ghost have split up, for a variety of reasons, and Tommy sees a chance to move into Ghost's old drug-dealing chair. We need to hold our breath on this one, because becoming the New Ghost may require a few more smarts than Tommy has so far exhibited. Still, Tommy's the kind of guy who follows impulses, and now he's being further encouraged by his ambitious girlfriend Holly (Lucy Walters) (above). Tommy is never written as "the white character," but the fact he is a white character gives Power a dimension of its own. In most ways he's the same as the people around him - that is, you don't want to run into him in a dark alley if he's in a bad mood - yet thanks largely to Sikora's riveting portrayal, he's a different window into that world. Like a lot of good TV shows these days, Power is dark. Don't be fooled. Watching it will keep you wide awake.